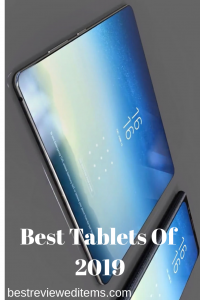 Are you looking for the best smartphone 2019 which has the latest flagship features? If yes. I will help you choose only most suitable to your preferences. According to our thorough reviews, Nokia 9 PureView is the best smartphone of 2019. But you can choose other smartphones that you find interesting in design and latest tech employed in. People tend to choose smartphones only from long time recognized brands like Samsung, Sony and iPhone. 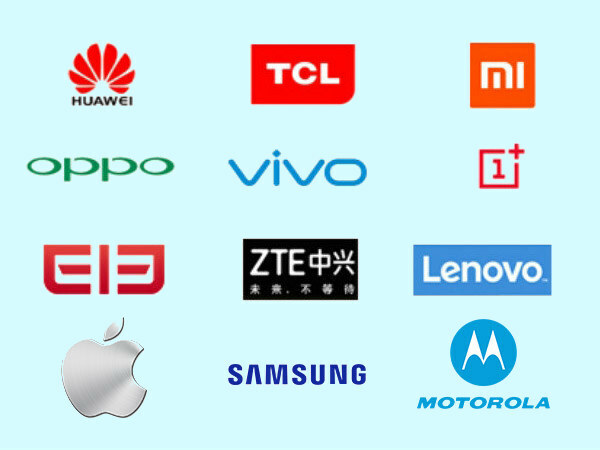 This is a right decision as these brands have big experience in smartphone industry. However, we would recommend to take a look at others too, like Asus, Google, OnePlus, Huawei, Motorola, Xiaomi and Nokia. Let’s proceed with reviews. 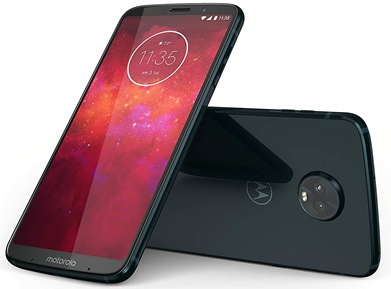 Motorola took a great advantage in making significant move in flagship field as the busiest people are into high end phones. Thus, Moto G7, a sequel of G6 Plus improved its specs and added some features to deliver the best UX. Having a 6.2 inch Full HD+ display with a resolution of 1080 x 2270 pixels makes its users enjoy bigger screen experience. At the same time, G7 Plus has dual rear cameras with 16MP+5MP lens and a glass back design that provides glamorous look. Front camera with 12MP lens gives you advanced experience in selfie shots and video calls. Powered by Snapdragon 636 processor with 4GB RAM and 64 storage. Battery has 3000 mAh that lasts for a day if you play games hard. The Chinese brand strives to catch up with its countrymate Huawei. The results are amazing. For couple of years Xiaomi could come up with flagships and I expect it will never stop. Although, the company is small and has a limited budget. 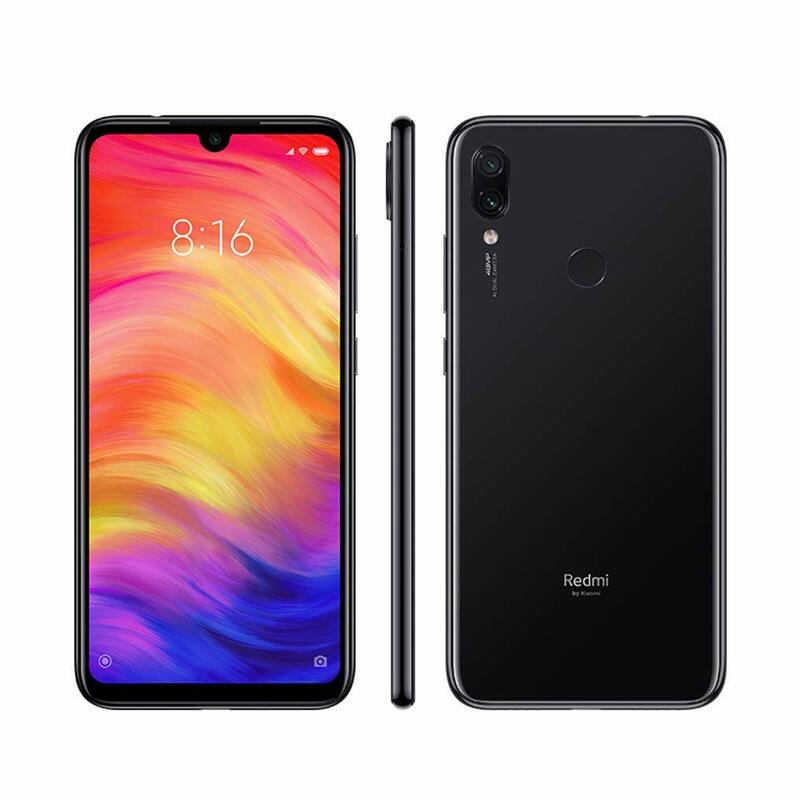 One of the best achievements is Redmi Note 7 that is most fit for people preferring elegance. The design of this flagship made to be different from others. The front is fully covered by screen with notch on top similar to Moto G7 series and iPhone X series. Don’t worry you can get rid off the notch by applying display settings. Rounded metal frame is on their right edge. 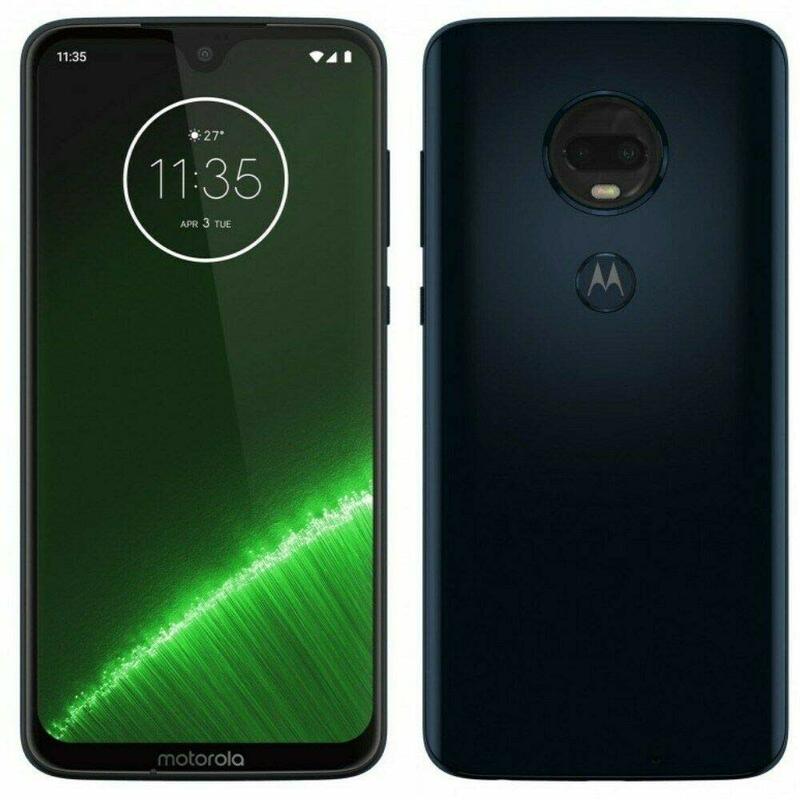 Overall it looks like Moto G7 Plus. Display is a 6.35 inch FHD. Dual-lens 48MP rear camera with focus on low light shooting and AI-powered scene recognition delivers spectacular experience. Front camera has 13MP lens which is great for video calls and selfies. The latest SD 660 chip-set with 4GB of RAM and storage with 64GB will not disappoint an amateur user. Android 9 Pie is running in this elegant smartphone. This budget flagship has a curvy plastic back. As normal it is water and dust resistant. Display is 6 inches powered by IPS and LCD. 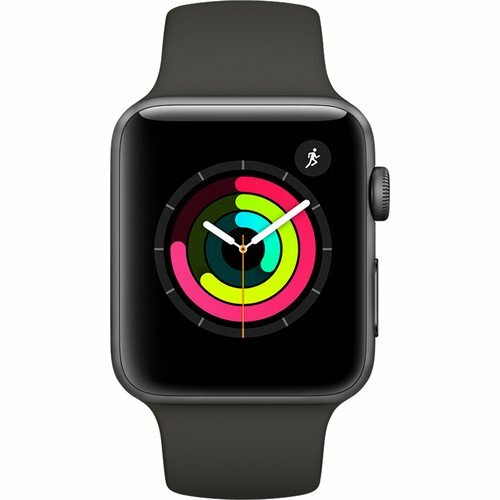 So, bezel became minimal as possible. Stunning dual-lens 12MP and 5 MP rear camera will make your days and nights full of high def memories. Selfie lovers have great news, dual-lens 8MP front-facing camera is attached. Most powerful 5000 mAh battery will not let you worry about charging. Most common Snapdragon 836 chipset is installed with 6GB of RAM and 64GB of storage. Such great specs can make your experience okay in gaming, calling, video calling, messaging and watching videos or movies. Zenfone Max Pro’s design is not only sparkling but performance is notorious. The Chinese giant Huawei is persistent in making top ranking flagship to beat competitors around the world. Although, P30 Pro costs around $1000 like iPhone XS, it managed to remove the notch problem of display. This achievement made a lot of P30 Lite sales. One thing people do not like Huawei is replicating iPhone and Samsung. But this model has everything to satisfy expectations of any mid-range fans. If we go in details: the average SoC Kirin 710, 4GB RAM, 128GB storage, battery of 4000 mAh, front camera 24MP lens and dual rear camera with 40MP and 20MP lenses, Android Oreo operating system and OLED HD 6.15 inch display. It has everything to beat the iPhone X and Galaxy S9+. Soon people will realize Huawei P30 Lite satisfy their needs. 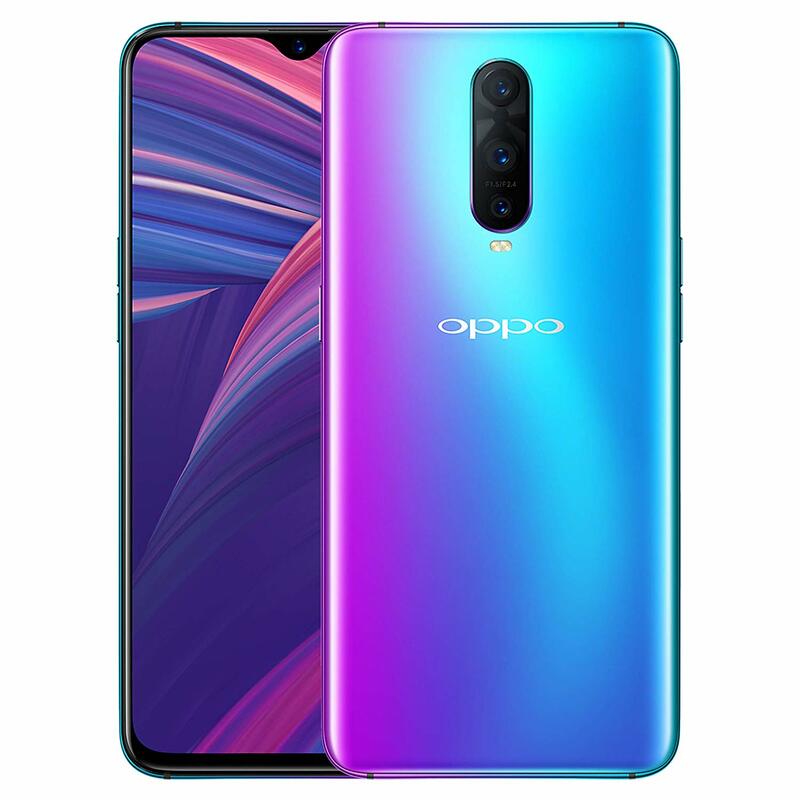 Curvy body shape of Oppo RX17 Pro reminds me Note 9 but without home button. So little bezels on top and bottom of display. Triple camera at the back with one flash makes it look like Moto G7 Plus but it is bigger than that. 2 volume buttons on the upper left side and power button on opposite side. Stylus pen is absent. So sad. Thin body fits headphone jack and 2 speakers with clear sound making feature. Never tend to drop it facing display down. Screen protector may save it with little chance. Chipset from Snapdragon 710 along with 6GB RAM and 128GB storage will make gamers very happy. Though watching a movie will make anyone feel as if they are watching TV. If you miss Sony choose this flagship. Android Oreo is much simple for getting quick attention of simplicity lovers. This is not only strength of this phone. You might get it for over $650 online. I think Sony should go with more advanced tech for attracting more people to buy their phones for less bezels. 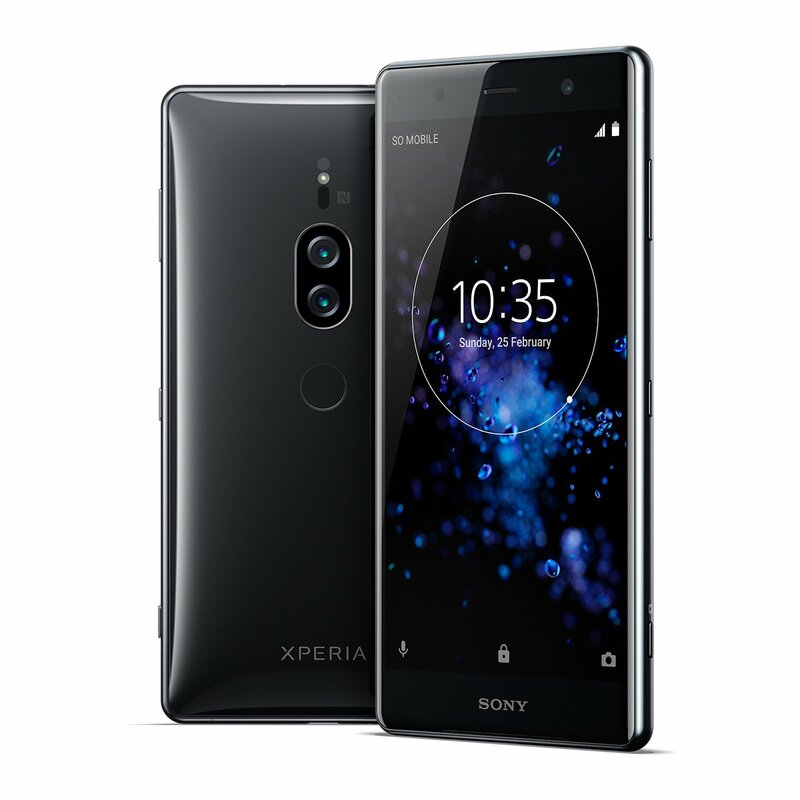 It is so unfair seeing Sony phones expensive while it can’t catch up with modern needs of smartphone lovers. I call this flagship as the best thick bezel smartphone of 2019, just for bezel lovers. Hillarious dual rear facing camera surprised us with 16MP and 20MP AI features inside. Display is 6.41 inches Amoled Corning Gorilla glass 2880×1440 QHD+ 18:9 display with cutout. Wireless charging comes with dash charging. The leatest SD 845 chipset with up to 8GB RAM and up to 256GB storage. Android Oreo is supported being customized for OnePlus. Three colors are offered: blue, white and black options. Price is lower than other flagships’, extends from $560 till $620 depending on storage and RAM. Even minimal 6GB RAM and 64GB are enough to qualify for the most durable smartphone of 2019. Nokia is the legend that thrives to play games in flagship market. 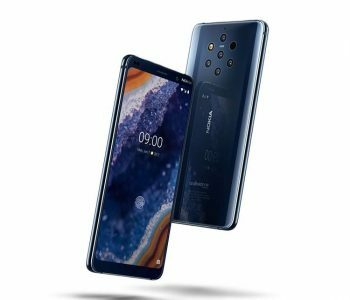 After Sirocco 8 launch Nokia put so much effort to make Nokia 9 PureView stand out from the predecessor. 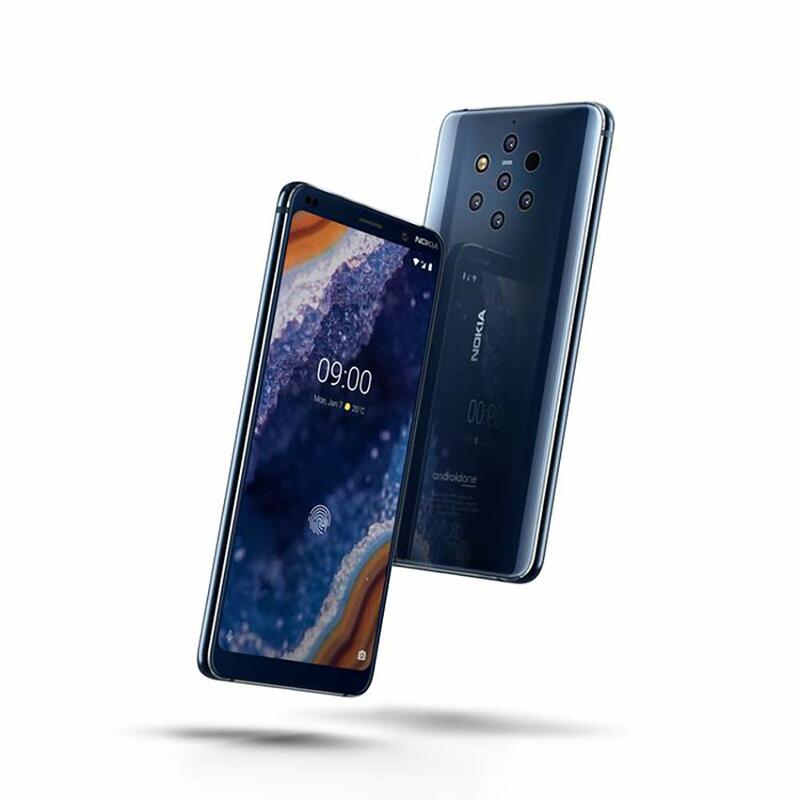 The five cameras with 12MP each from Zeiss optics technology make the flagship completely different from other high-end phones. Water and dust resistant body is the biggest achievement too. For the sake of competition 5.99 inch QHD display is made from 2k OLED . Bezels are as tiny as possible while single front camera 20MP lenses will amaze your selfie and video chats. Fingerprint scanner is on the center of the display. A powerful 3320 mAh battery lets you enjoy for 2 days if cellular data switched on. Android Pie runs this powerful phone with Snapdragon 845 Soc, 6GB RAM and 128GB storage. I consider this flagship as the best smartphone of 2019. 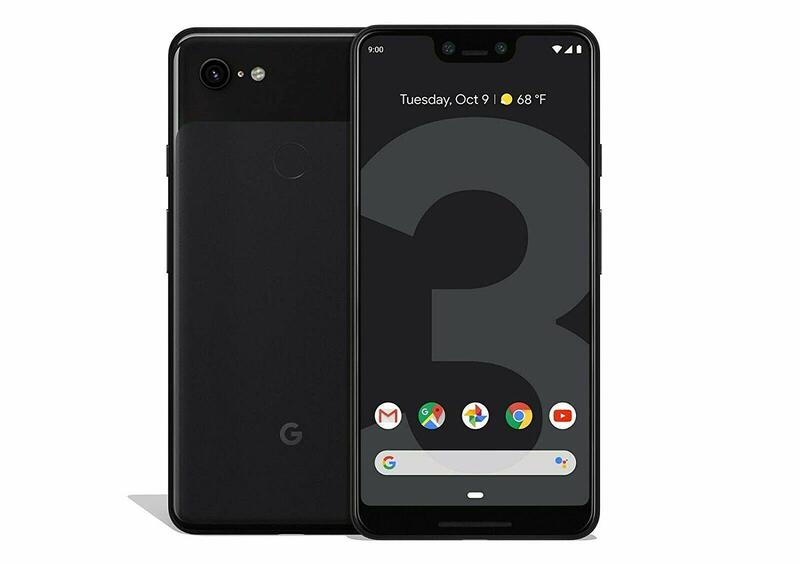 New Pixel’s sequel got major changes. Rear camera became not dual with 12MP lens. Front dual camera has little changes in increase of pixels to 8MP. Bezels became slim by enlarging the screen. Wired charging is provided by USB2.0. Display is POLED Full HD with the highest resolution. 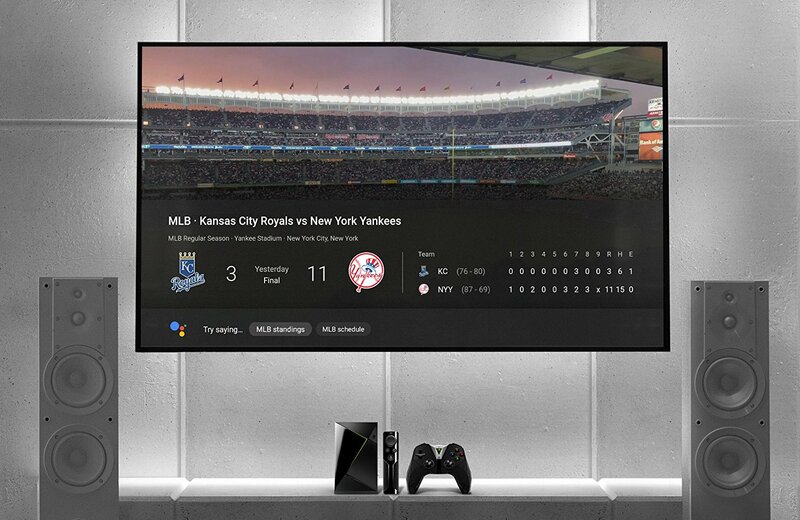 Search Engine tries to make its devices run its own apps smoothly and that’s why they employed Snapdragon 845 chipset with RAM of 4GB and storage 128GB. Google focuses mostly on internal part of its flagships to provide smooth operations in running Play Market’s apps. I think it is right move for the apps owner. Era of android will surely end but not soon. Enjoy this flagship if you already bought it. The legendary S9 sequel came after people impatiently waited for long. I saw small changes in design but significant modification inside of S10. Overall, it is better than S9 and S9+ in performance but smaller in size. Large curved AMOLED display. One big change is in cameras: Dual selfie camera and rear triple camera with precise focus technology. Additionally, wireless charging comes with dash charger support. Chipset SD 855 is still employed in. Maximum of 8GB RAM and 512GB storage increase as in typical flagships was put into work. I noticed less bezel in S10 which brings rejoice to experience with full display. Gaming experience was so amazing: there were no lagging, no display sensor problem, no unclear details and no notch problem. Newest Android Pie is being exploited to run this powerful flagship. How to choose the smartphone? You need to look at what features you really want from a smartphone. Most people consider camera, display, battery, performance, software and 4G connection. Do not pay attention at mega pixels of camera as they do not matter in quality of images and video. You should look at autofocus and freezing the image during shaking the phone (in a car may be). Selfie lovers may want dual front camera with face recognizing function. But only over $500 expensive phones have this feature. For those who want snapping pictures of crowd I would recommend to choose Samsung Galaxy S and Google Pixel latest models. Overall, mid-range and high end phones deliver the best camera experience. Their price range is from $280 till $1000. Smartphone with a big and OLED type display is so stunning for watching movies and playing strategic games. However, some people prefer less size smartphone when big display does not play a significant role for their experience. 5.5 inch sized smartphones (price under $300) are best suit for such kind a user. If you are often on the go and charging your phone consumes your precious time thus over 3500 mAh battery is strongly recommended by smartphone fans. It is not hard to find such kind of smartphone while its price starts from $150. Soon, Apple introduces wireless charging for their iPhones whereas you do not need to plug your phone onto charger except being inside the room where the wireless charger is plugged onto power. Such a great news. Chinese and Koren flagships will copy this idea and wired charger will be thrown away. 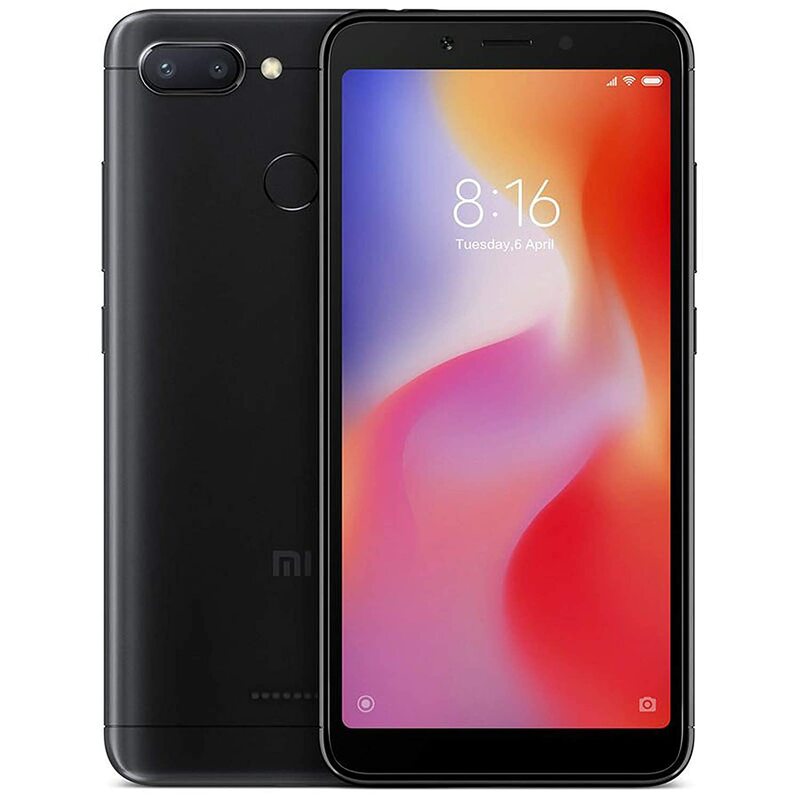 If you want no lagging in browsing internet and using heavy apps or games, you may consider mid-range or high end smartphone which costs from $350 to $1000. You should also consider higher RAM that is more than 4GB for faster results from commands you make. Additionally, bigger storage allows you to store many stuff and you do not need external SSD drive to store your pics and videos of important moments of your life. I strongly suggest you buy a smartphone with at least 64GB storage which will store thousands of files and even have a backup folder in case you delete any file. Two major Operating Systems (Android and iOS) are used to run the smartphones around the globe. If you are in love with simplicity you have to go with iOS that run iPhones. But not many apps can be found in app store and even you cant play free MP3 music. You must buy music and movies. What a bad OS? Most of the apps run via internet connection too. Oh crap! Oppositely, Android has millions of apps and games. Most of the smartphones use this OS by getting certificates from Google. Downloaded movies and music from free download sites can be played. Thanks Android! I love you Google for being such generous. Only one issue exists in Android. That is less simple than iOS. But people learn. They learn fast! This type of connection is most common in any smartphone. Starting from all 2017 models of any brand 4G connection is featured. But 4G connection can caught in certain parts of developing and developed countries. Rural areas do not even have 3G connection. Only urban parts have benefited this fastest type of connection. Upcoming 5G connection is set to spread within next 5 years. We will see how fast 5G will perform for most internet demanded urban areas of the world. Is it necessary to buy a high end smartphone? If you browse internet, chat in IM apps, play simple games like chess, call and check your emails, mid-range phone is right choice. It may cost you around $300. But if you are a heavy apps user, watch movies, browse internet, snap quality pics and videos thus high end phone is a necessary tool costing over $500. Do not buy low budget smartphone with price from $80 to $180 you will end up with lagging in running apps and browsing internet. Anyone become sad when phone gets obsolete and replacing is a must, because it beats their pockets severely. To avoid this situation you can take care of you smartphone’s health. There are some ways to protect the phone. Let’s talk about external protection. There is a little chance to fix broken back and shattered diplay. It is a nightmare of smartphone keepers. Getting a case is only way to provide maximum protection. For any model there are plenty of case types. Feeling for dropping your phone most often can actually get you rid of hurting experience of phone dropping. Case makes the phone heavier and bigger, but it’s worth it. However, a thin case can give similar results. Get a protector that is easy to apply and is right for your phone. It’s harder to scratch your screen, which can affect its responsiveness. Some screens are made of a tough material and may not need them. However, a protector may keep your screen together if you drop the phone. Avoid putting your phone in same pocket or bag with you keys unless you covered it by case and screen protector. Anyway, keys may damage your protector and case which causes a bad look. Dust particles may not be seen, but your smartphone its screen protector and case might become penetrated by them. Speakers and microphone will get negative effect. Then camera will have it too. Screen must be cleaned often by its special cloth. Get rid of dust by openning the case with cleaning by wet leather cloth. The four tips above help you provide external smartphone maintenance and protection, but safeguarding your phone is also about keeping it running smoothly. Here are some tips for doing that. Most smartphones include a bunch of apps that the manufacturer has installed. Chances are, you don’t need all of them. Since the more apps you run, the shorter your battery life, disable or uninstall any apps you don’t need. For the apps you DO use, make sure you’re always running the latest version. App developers update apps regularly, to add new functionality, cut down on resource usage and guard against malware and security threats. Tip: Either set your apps to update automatically, or update them manually at least once a week. When you install apps or when they run, they may leave junk files behind in the cache. Those take up memory you could use for things you really want to do. Clear these files out from time to time. Both Android and iOS allow you to do this. Sometimes you want to download and install a new app, but where should you get it from? With the rise of malware on phones, the best advice is to use the app store for your device or another trusted app store, such as Amazon’s. If your phone allows it, install an external SD card to increase the available storage, then run any apps you can from this storage. You can also use it to store media files. This frees up the phone’s internal memory, resulting in better performance. Lock your phone with a pin, password or pattern. 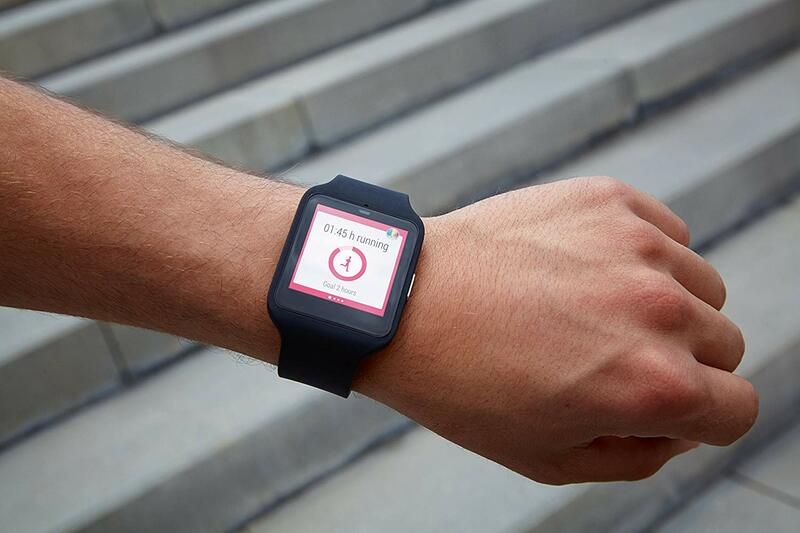 Install a security app to help you find your phone if it goes walkabout. 64-bit Android 8.0 Oreo or above. Chipset Snapdragon 630, 660 or more recent. GPU Adreno 308, 508, 530, Mali-G72 MP12 or more recent. Chipset Snapdragon 845, 855 or more recent. GPU Adreno 630 or more recent. Before phones were used only for calling and SMS. With many new developments, smartphones have become more than a simple communication devices.With the development of iPhone in 2007 the whole smartphone market have changed drastically. Since then many great phones have been created and many new functions have become available for the users of smartphones. Many people have several smartphones that they use for different functions like one for work, gaming and camera purposes. Nowadays a smartphone replaces a camera, helps us to connect through dozens of messaging apps, helps us to follow social media watch online videos and even work through phone. For many people a smartphone replaces PC and a laptop. With screens getting larger smartphones have replaced most of the tablets too. Since the smartphones are so important in our lives it is important to choose the smartphone that is suitable for the needs of the user. When we buy something that is slow or cannot provide the functions that we want, we will feel disappointed. It might even disrupt our work and study.That is why it is important for us to choose the phone that is best suited for our needs. Luckily there are many new great phones that are available for us to buy at the beginning of 2019. There are also many new phones that are expected to come in upcoming year. With all of that in mind, here is the list of 10great phones to buy in the beginning of 2019. 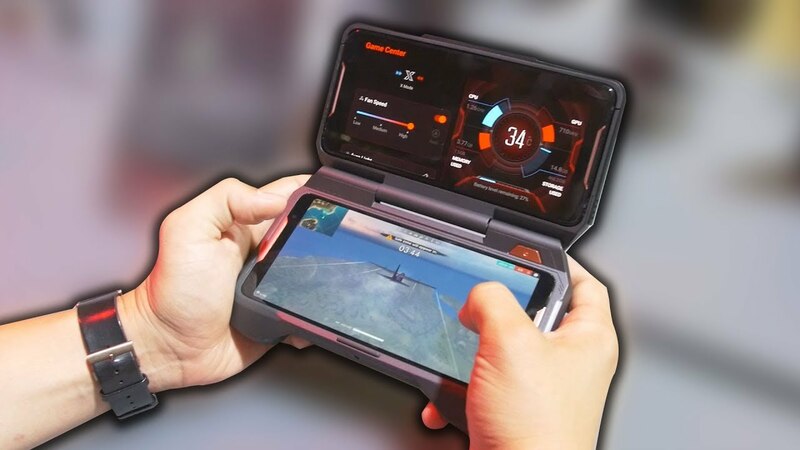 Gaming focused smartphones are kicking in so hard in 2019 due to major manufacturers are releasing gaming specs smartphones for popular multiplayer shooting mobile games such as PUBG and Fortnite. Both PUBG and Fortnite are coming from PC gaming roots where players need fast paced shooting experience with stunning graphics. As a result, popular PC gaming brands like Asus ROG (Republic of Gamers) and Razer jumped in for mobile gaming industry. SoC manufacturers began to concentrate on Graphics Processing Unit and Random Access Memory very seriously. One of the best SoC producer is Qualcomm with its Snapdragon 845 and 855 chips which are unbeatable in every requirements of smooth gaming. 2018 was a great year for smartphones for improving specifications like graphic processing and RAM. There are few important things that happened in 2018. First of all the low budget models have become faster and more stable. Previously, many budget models suffered from slow performance and cut down functionality. However, in 2017 we saw many budget models are receiving some new feature at the same time with top models. Things like powerful quad- core and octa- core processors, strong cameras, good battery life and great displays were widely available in the budget models. Secondly, the cameras have become better and more powerful. We saw many phones using two cameras or cameras with high megapixels. Some cameras even utilized four cameras, two behind and two in front for selfies. The selfie game was strong also, with many mid- range phones that were focused for selfies only. Thirdly, many phones have utilized bigger screens with very thin and minimal bezels. 18:9 format screen has become a new thing with FHD+ resolution. 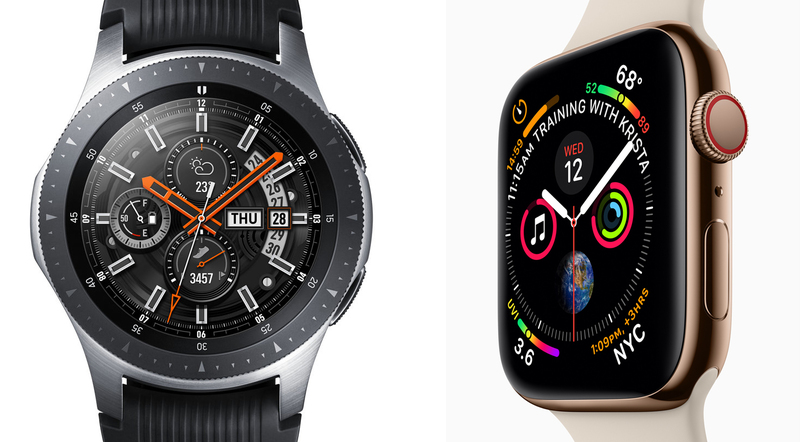 High end Samsung and iPhone X both utilized so called bezel-less screens. Samsung even utilized a curved screen that covered even sides of the phone. 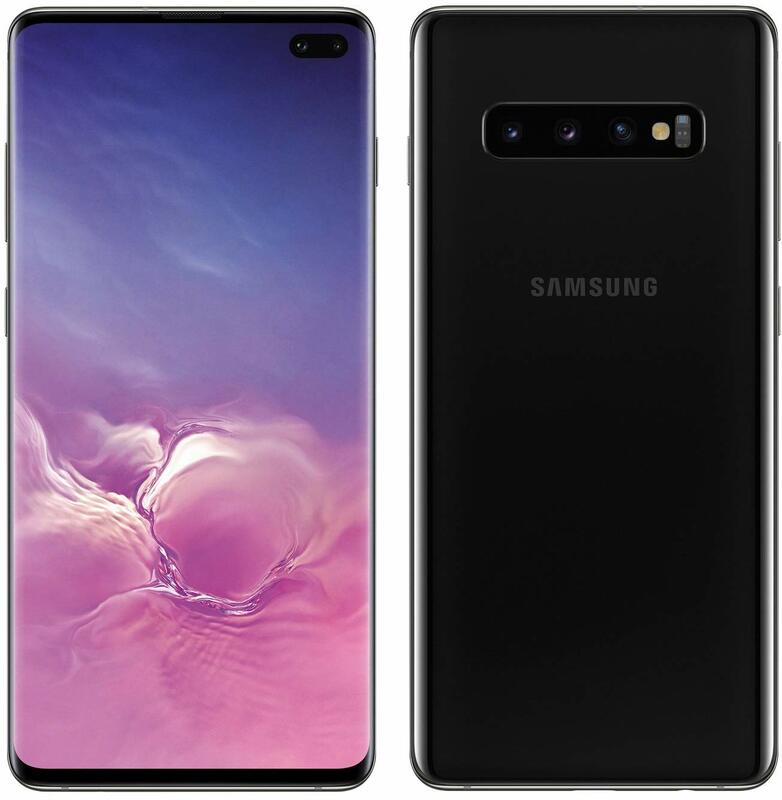 Some of the mid-range and high end models such as Black Shark has followed the example of Samsung with bezel-less designs. 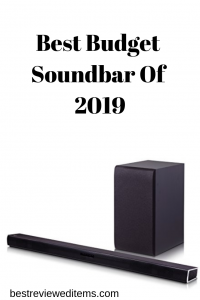 Overall, we can see that the year 2019 is productive and interesting in terms of many new developments and we hope that 2019 will bring even better models with even more newer and interesting technologies. This Motorola phone is the cheapest in this list, but do not fret. It does not made from cheapest plastic with bad build quality nor feature slow and sluggish hardware. This budget phone is actually has a good build quality and smooth performance with good camera. This phone breaks the picture of budget phones that we all had in our minds for many years. The phone is actually made from aluminum body and features Gorilla Glass 3 in the front. This makes the phone look and feel much more like a mid-range phone than a cheapest budget one. In terms of looks in look nice also, so in terms of feels and looks it won’t disappoint you. For the screen this phone features 6.2 inch 1570 x 720 FHD IPS screen. It is not a Full HD model neither comes with 18:9 aspect ratio. However, for its price it has a decent screen with good visibility on the sunlight. For the hardware, this phone come with Snapdragon 632 Octa core processor clocked at 1.8GHz. This might not sound fast, but the phone is powerful and feels smooth. The phone uses stock version of the Android 8.0 and that is why it does not put too much strain on the CPU. Furthermore, since it is a stock Android it will receive updates from Google as soon as they released. Coupled with 4GB of RAM the phone feels smooth and responsive and can handle almost any app or a game. Since it has graphics power from Adreno 508 GPU some demanding games might work only in medium or low settings in this phone though. 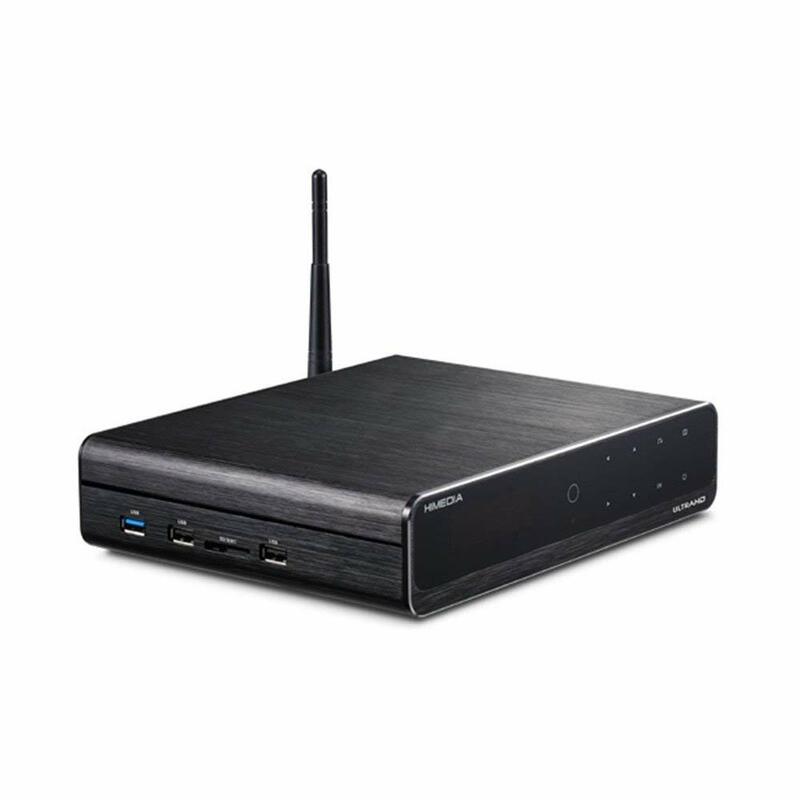 For storage it is either 64GB or 128GB which is small, but luckily we have a card slot for extension. In camera department, this phone has Dual 12MP rear camera and 5MP frontcamera. They both are decent but not great. Cameras can record videos up to 2160p at 30 frames per second. They will do their job, however for better camera it is recommended to step up the game and go for Samsung S8 or Moto Z3Play. This phone’s notable strength is 5000 mAh battery, which can last up to 24 hours while gaming. The phone’s screen and processor are both economical and does not consume a lot of juice. This makes the phone last longer than many other phone on this list. Furthermore, it still feature a 3.5mm jack which is absent from many high end models. Overall, this is a budget model with budget price, so it is normal for some corners to be cut. Here we have only FHD screen, entry level graphics and a normal camera. Despite that we got a great battery life and smooth performance. This phone will be great for those who play PUBG on low settings and fulltime playing less demanding titles like Mobile Legends or FIFA and wanta long lasting battery life. This is another great budget model. It costs just less than G7 Plus, however it features some upgrades over it. 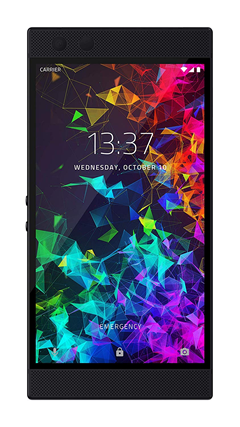 In terms of design it is very similar to G7 and similar to any other budget phone at this price category. It is made from metal and the front is made from glass. The phone is compact and fits perfectly on the hand. This phone might not have an impressive design, but it has great built quality and compact size. At the back it features just a single camera and a fingerprint scanner. Front features just a normal 5.9 inch 1080P display with somewhat little big bezels. The screen is good and it looks crispier than G7 one because of smaller size. There is nothing to complain here as other phones look almost the same. There is a 12MP rear and 5MP front camera. They do a good job at taking pictures. However just by stepping up just a little for Z3 Play you can get much better cameras. This does not mean that Redmi 6 has bad cameras, it’s just they are not impressive. In terms of performance, this phone comes with Snapdragon 625 octa core processor, which is enough for any apps and games that are not too demanding. PUBG Mobile will definitely play with Redmi 6 due to its Adreno 506 Graphics Accelerator on 60fps Medium settings. Surprisingly, shocking specs are 3GB RAM and 64GB storage for stable performance without memory bottlenecks. There is a hybrid SIM card slot that can fit a Micro SD card. This phone comes with stunning 4000mAh battery which will be enough for one day or one and a half day use depending on the usage. Overall, this phone is more powerful than G7 but has less quality camera. Other than that they are almost the same. Those who want just little bit more power over G7 will be satisfied with this phone. This is the latest Z device and the cheapest device from Moto to feature dual cameras at the back. This phone is also one of the best looking budget phones on this list. It features an aluminum construction with glass in front. Behind the phone we have a dual camera setup. This phone looks and feels very premium. In front it features a 6.1 inch screen with FHD+ resolution. The screen is good one with good colors and great visibility on the light. The screen is big, but because of very thin bezels it fits perfectly on the hand and is easy to operate. Those all combined make this phone look really beautiful. 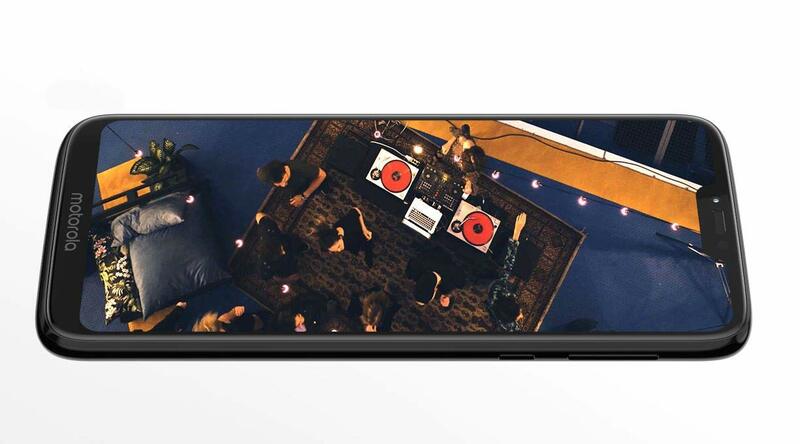 It is not just the outside of Z3 Play that impresses, but also the inside. It features Qualcomm Snapdragon 636 octa- core chip that provides great level of performance and smooth operation. This processor is enough for almostany application or games. For RAM it has 6GB and for storage there is 64GB available. For Fortnite or PUBG lovers this phone will give bang for buck performance on medium settings 60fps. If those are not enough, there is a slot for MicroSD card, however the user will have to sacrifice one of their SIM cards, because there is only hybrid slot for either a SIM or SD card. In camera department this phone really shines. It features dual camera on the back, one is 12MP one for taking pictures and 2MP one for taking distance and depth measurements. Front camera is 8MP and it is great for selfies. However, front camera sometimes makes washed out photos due to the beauty mode that enabled by a default. Reducing it to 0 level solves this issue. Overall, this is a great looking phone and the cheapest one that features wide screen with dual camera. The back camera takes great pictures and the hardware is very powerful. The phone comes with 3000mAh battery and it is enough for full day use. The phone also features fast charging to charge this large battery in no time. 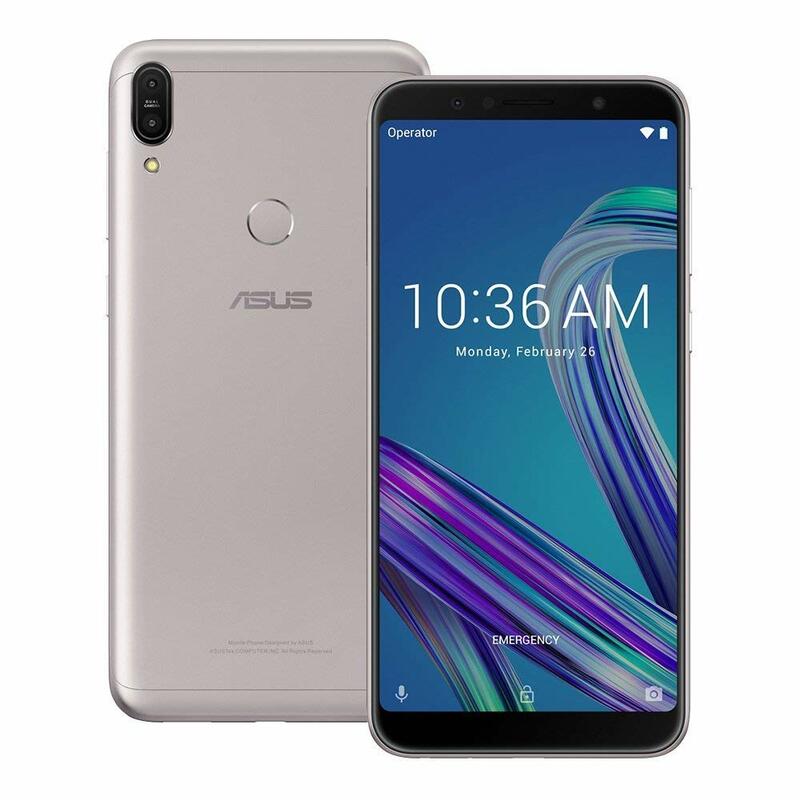 This phone will satisfy those who want a great looking phone with great back camera and decent front camera and a good battery life. For its price this phone is a steal. This phone is the last mid-range flagship phone in this list by Nokia (resurrected company). This is a phone from famous Nokia that we are all familiar with and now it comes with android. This phone previously was priced at high end category, but lately the prices dropped to mid-range category and this phone has become a better purchase decision. This phone features very classic design, with dual camera and standard IPS screen. However, the screen is stretched out to the sides and side bezels are almost none existent. In terms of looks this phone is nice looking one. In terms of hardware, it comes with Snapdragon 710 chip-set which is more than enough for daily usage. Furthermore it has 6GB of RAM and 64 GB storage. Mobile gaming hobby list can find this phone very entertaining thanks to its higher specs for medium settings PUBG gaming. In terms of camera this phone has a 13MP dual pixel with 5MP depth sensor rear and 20MP front camera. They both do a great job taking good pictures with good level of details and are capable of 2160p 60fps video recording. This phone features a 3500 mAh battery and it is more than enough for one full day usage. 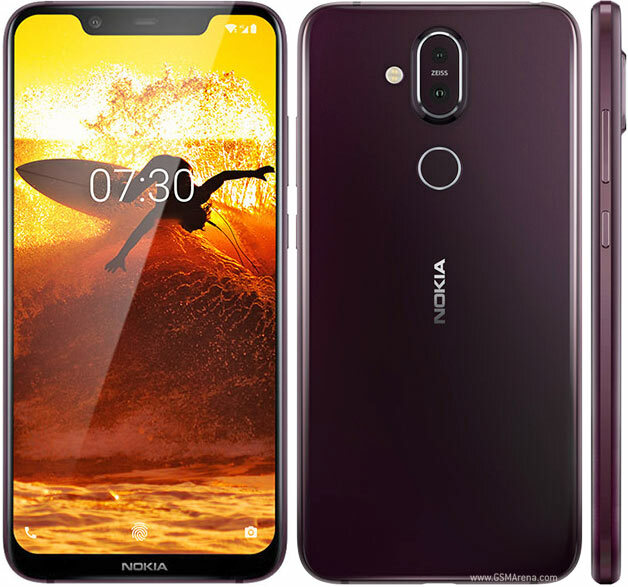 It comes with Android 8.1 and Nokia’s own UI over it. Other than that it features a fingerprint sensor near to rear cameras. Overall, this model costs more than other budget models, but has great camera and gorgeous classic looks. 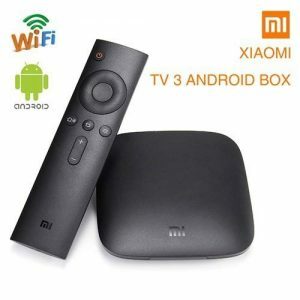 Xiaomi is famous for offering a flagship level smartphones at a more budget friendly prices. 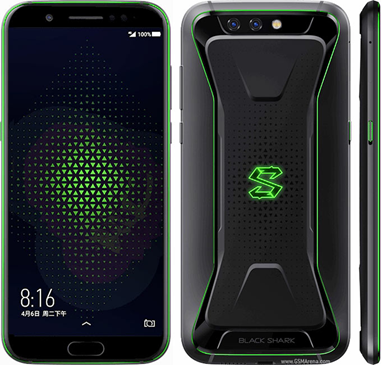 Following the impressive release one of the first gaming phones named Black Shark, the company has decided to drive this model close to perfection with newer hardware and some unique gaming design, yet keep the budget friendly price tag. Inside this phone is powered by Snapdragon 845 processor and the crazy 8GB RAM with 128GB storage. In terms of hardware it is well equipped and outstages even Note 8 or Mate 10 Pro. First ever water cooled smartphone is Black Shark with its special cooling feature on copper covered loop system which is actively brings cool temperature to hot chipset while gaming great shooters like PUBG or Fortnite. One of the main design distinction for this model is a larger 5.9 inch 18:9 1080p display with bezel-less design. The phone looks great and feel much more premium now. Despite large screen, the phone is compact and it is same size as many 5.5 inch phones from other manufacturers. Since front bezels have decreases the fingerprint sensor is located in front. This makes it much easier to use for gamers. Another greatness is in the camera department. Black Shark now features slightly revised dual-camera system. The primary 12MP sensor and a secondary 20MP sensor to assist with low-light performance. The pictures look great with this phone and it scores well in many sites in terms of picture quality. The front camera is also does not disappoint. Here it is a 20MP single camera. It has good picture quality and in terms of megapixel size it is higher than most of flagship phones. Black Shark is a pretty affordable package. Featuring 24 hours of battery life and the fast charge time and it is a fantastic value. It has great hardware with great camera and great battery life. 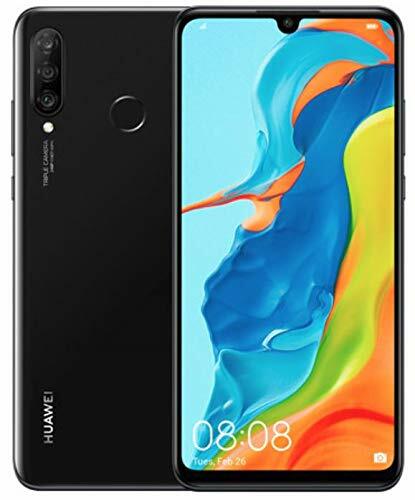 For someone who is looking for a great phone that is as good as flagships but does not require the phone to have a famous brand name on it then this phone is a great choice. 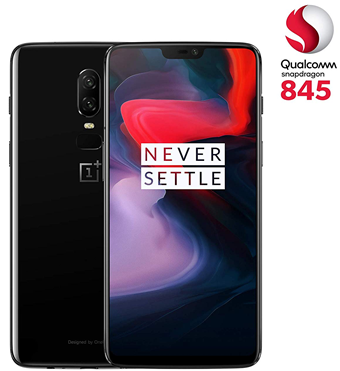 The OnePlus 6 is the famous high end model in our list and it is also the charming phone. It has all the nice features that a top level smartphone will have right now. Starting with the screen, it features a 6.28 inch Optic AMOLED display with an 18:9 ratio and 1080×2160 resolution. This allows the phone to have very small bezels. Despite having a large screen, the phone is compact and perfectly fits in the hand. In terms of hardware, OnePlus 6 rocks its in-house octa core Snapdragon 845 processor. In terms of RAM is 6 GB and 64 GB of storage and another. This is more than enough storage that a person will want from such a phone. There is, however no MicroSD storage slot available for this model. The OnePlus 6 ships with Android 8.1 Oreo out of the box and OnePlus promises that it will release updates for the future versions of Android for this model. 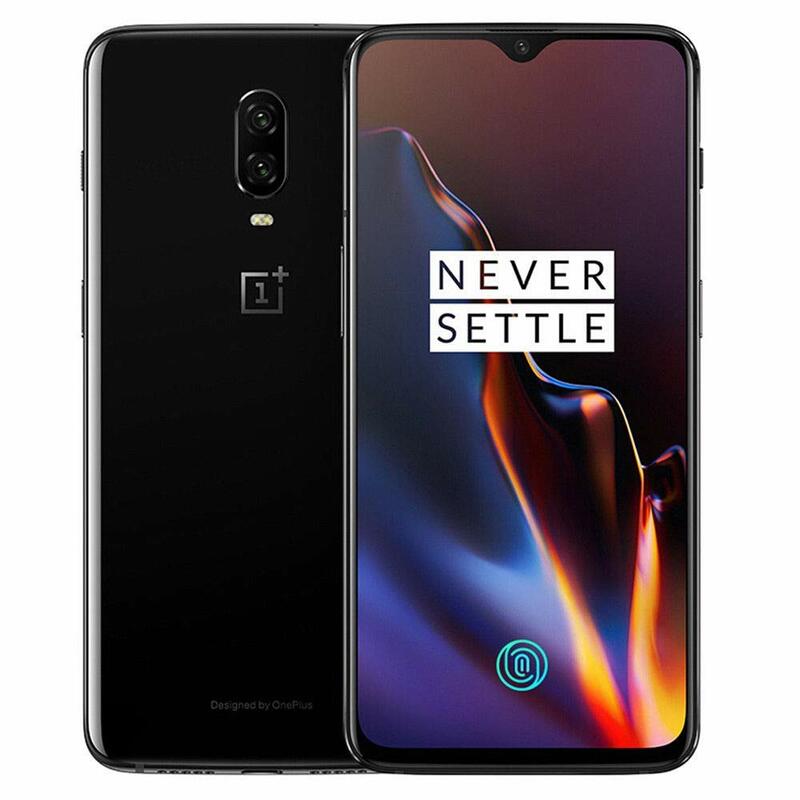 In imaging department OnePlus 6 has a dual-camera setup with 16 MP monochrome sensor and 20 MP RGB sensor. This setup is very powerful and perfectly capable to rival Samsung and iPhone which previously were considered to be unbeatable in camera department. For the selfies there is a 16MP camera in the font that is enough for anyone who is planning to take slefies with this phone. This phone also comes with an IP 67 rating for water and dust resistance.It is perfectly safe to for the phone if it mistakenly dropped in a water up to1 meter and up to 30 minutes. Lastly, the phone has large 3300 mAh battery with Supercharge. It allows the OnePlus 6 to full charge in about an hour. For those who are looking a great phone with beautiful design and a top range features and performance with much cheaper price tag, then this model is for you. 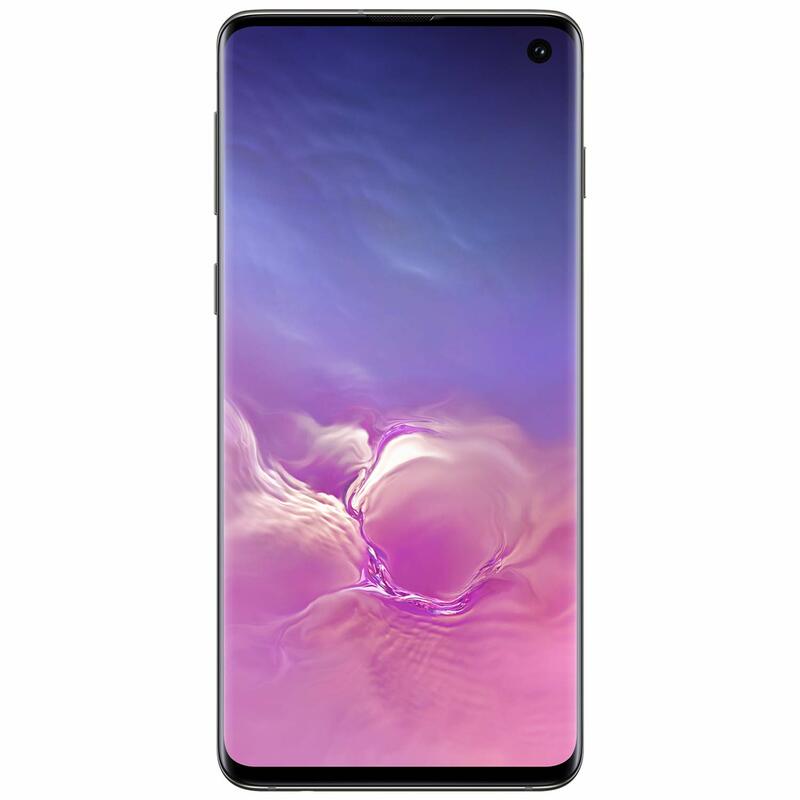 For people looking for a nearly perfect phone then Galaxy S10, which is Samsung’s latest flagship. No matter from which angle you look at it, it is an unbeatable device. This time Samsung have done a great job making this phone. Their bad experience with note 7 have taught them many lessons that helped them in developing this device. When it comes to design, this phone features a typical Samsung design that we are familiar with. However it also adds many new design elements. One of such is a 6.1 inch AMOLED display with 2960×1440 resolution. It is one of the highest resolution and the brightest display available on a smartphone.With such a large display and very thin bezels, this phone looks very stunning. At the back this phone features single-camera system and below that are fingerprint and heart rate sensors. In terms of camera this phone features one 12MP dual camera at the back with optical zoom and portrait mode, and 16MP Ultra Wide. Even with one camera setup, Samsung phones had a great camera. The camera is also capable of filming 4K at 60fps videos. In the front, there is an 10MP selfie camera, which is also a great one. For hardware, there is a Snapdragon 855 processor with 6GB of RAM and 128GB of storage. Strategy and first person shooter gamers will rock this phone with smooth game play greatness at 60fps high settings. Battery is packed with 3400mAh only for full day normal use. In terms of software there is Android Oreo out of the box with Samsung’s software skin which. It adds many additional features that make the Android even better and also it looks beautiful. During last several years Razer has been striving in PC gaming market. However in 2018 they released first ever Razer Phone intended for mobile gamers with great hardware capability which has changed gaming market all. The phone featured a great looking design, impressive hardware and stood out different from Black Shark or ROG Phone. Many have praised that model. In this year again Razer has stepped up the game and selling fastest gaming phone with unique branding as Razer Phone 2. This is a completely different smartphone with hardware and software improvements over the last year’s model. This is a phone capable of beating other gaming flagships. Razer Phone 2 comes with beautiful glossy design, impressive battery life, and a smooth and snappy software experience. In terms of performance it does not fall behind in any way. Just like any other flagship, this phone features Snapdragon 845 octa core processor. In terms of ram it comes with 8GB which is plenty overkill for gaming. For storage is 64GB with MicroSD slot for expansion. In terms of display it comes with normal 5.72 inch IPS display. There is no fancy 18:9 ratio, but the screen has 1440p resolution.It is very clear and sharp for a device with 5.72 inch display. Only best difference it makes is 120 Hz whooping refresh rate allowing you to experience high frame rates and shortest frame times. For software it comes with Android 8.1 and gaming launcher from Razer UI. When it comes to camera, this phone features agreat dual 12MP rear camera that is very good for taking studio quality photos. In front is a 12MP shooter that can shoot great pictures and videos at FullHD resolution. Both front and back cameras take great quality pictures that will not make you disappointed. Lastly, it features USB type C with quick charging, but just like many other flagships it has ditched 3.5mm audio jack. This mightbe a deal breaker because they would want that connection for their headphones. Other than that it has 4000 mAh battery which is good news for full time gamers. Despite all that this is a great device and it comes with much cheaper pricetag than other gaming flagships. People who want a phone with great design and a great camera will not be disappointed with this device especially high framerate seeking gamers. 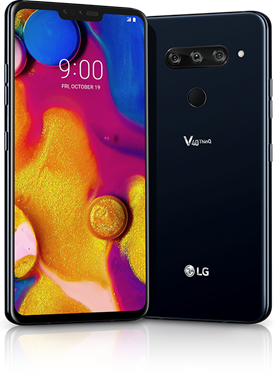 LG V40 is another great option for those who arelooking for top level smartphone. This LG phone did not receive as much fame and attention as Samsung or Apple phones. Despite that, this phone is actually very great. In terms of design it does not fall behind Samsung, Huawei or Apple phones. Gamer’s spices are starting here. Just like Razer Phone 2, LG V40 is powered by the Snapdragon 845 processor, but features smaller 6GB of RAM and 64GB storage space. In paper this might look small, however, for everyday use 6GB of RAM is more than enough. For those who is not satisfied with the storage space, there is a slot for MicroSD card. In terms ofoperating system it comes with Oreo and on top of that there is LG’s own skin. It is very similar to stock Android with “floating bar” feature for shortcuts. Out of the box this phone runs smooth and does not lack in term of performance from any other high end phone. Battery support is standard 3300mAh that helps you to endure full day doing your business. The V40 also packs 6.4 inch P-OLED display. It is sharp with vibrant colors, and it is very bright. The phone also features bezel-less design. That is why the phone feels compact and perfectly fits in the hand. It looks very great due to small bezels and a large screen. Large screen makes the phone easy to use and functional. Best part here is LG V40 also features triple-camera setups at the back. Two of which are f/1.6 aperture standard and telephoto, another is f/1.9 aperture wide-angle 16MP sensor. They work perfectly and capable of taking great photos that are comparable to Samsung or iPhone cameras. For selfies it has shocking dual camera comprising with 8MP standard and a 5MP wide camera. All in all, it is a decent one and can perfectly do its job. People who are interested with one of the best back cameras should be looking for this model as the cameras on its back are record breaking. Here comes the king of mobile gaming world. 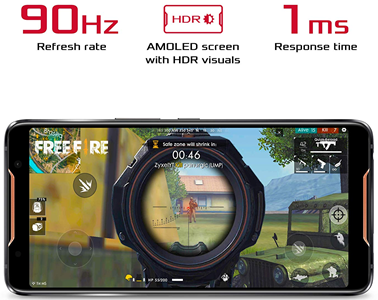 Asus did their best to release first ever 90 Hz HDR Display gaming phone with 1ms response time and a whooping air cooled smartphone which ROG Phone. ROG Phone comes with beautiful solid body design, impressive battery life, and a smooth and snappy software experience. In terms of performance it does not stay behind in any way. Just any other flagship, this phone features Snapdragon 845 octa core processor. In term of ram it comes with 8GB, which is plenty for any type of use. With its large 128GB or 512GB option storage the gamer’s dream will be fulfilled with richest library. In terms of display it comes with normal 6.0 inch AMOLED display. There is no fancy 18:9 ratio, but the screen has 1080p resolution. It is very clear and sharp for a device with 6.0 inch display. Even though this phone does not feature any fancy specs in terms of screen, the screen is a great quality one. For software it comes with Android 8.1 and ROG Gaming X mode UI. It is nice skin that has been around for some time and it is very stable and smooth. Other than that the phone features IP67 water and dust resistance. This is another great feature that can come in handy during rainy days or during holiday trips. When it comes to camera, this phone features agreat 8MP front camera that is very good for taking selfies. Behind is dual a 12MP standard and 8MP wide shooter that can shoot great pictures and videos at 4K resolution. Both front and back cameras take great quality pictures that will not make you disappointed. Lastly, it features USB type C with quick charging, unlike many other flagships it has included 3.5mm audio jack. This might be sweet-spot phone because they would want that connection for their headphones. Another feature is 4000 mAh battery with long standing capacity while heavy gaming. Why ROG Phone is best gaming phone and our editorial staff has chosen? Answer is simple, because it is true gaming experience when 90 Hz refresh rate pushing into 90 fps smooth gameplay and 1ms response time is stunningly great feature that any other gaming phone does not possess. We recommend ROG Phone for future proof gaming pleasure since it has active aircooling like PC, 8GB RAM and fast rendering graphics accelerator from Adreno 630 that push the gaming limits for up to 3-5 years.